The recently published work of Cappelli et al1 raises the practical question: What should we use for imaging of suspected transthyretin cardiac amyloidosis (ATTR)? It concluded that 99mTc-hydroxymethylene diphosphonate (HDP) was sufficiently accurate for diagnosis of ATTR. The right answer to this question has particularly become more relevant currently with the emergence of effective treatment options for ATTR amyloidosis such as tafamidis, patisiran, and inotersen.2 Previously though, this was more of an academic question given the lack of therapeutic options with a high morbidity and mortality. In our personal practicing experiences, we currently preferentially perform imaging with technetium-labeled pyrophosphate (PYP). 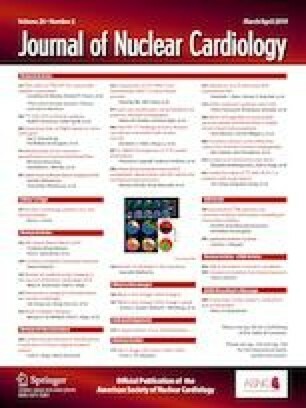 PYP is sanctioned by the American Society of Nuclear Cardiology (ASNC) Practice Points document.3 Literature support for HDP for ATTR imaging up to now has been piecemeal with most publications suggesting that HDP “may” detect cardiac involvement in amyloidosis. This current study was far stronger in its recommendation. By contrast, the evidence for PYP is more robust and hence, the ASNC advice. In addition, we are well aware that there are weighty cost implications associated with switching from PYP to HDP which would save many imaging departments—and health systems—much money. The other technetium compound in amyloid imaging, 3,3,-diphosphono-1,2-propanodicarboxylic acid (more commonly known as DPD), is also very expensive. Of course, the financial imperative should not interfere with the practice of quality, evidence-based medicine but a shift to HDP would ease the financial burden considerably. Based on the study’s findings—and the lack of solid pre-existing evidence in the literature—would (and could) the authors go so far as to supporting a change in the recommendations of the ASNC? American Society of Nuclear Cardiology. 99mTechnetium-pyrophosphate imaging for transthyretin cardiac amyloidosis. Fairfax, VA: American Society of Nuclear Cardiology; 2019. Updated 2019 February 29; Cited 2019 April 2. https://www.asnc.org/Files/Practice%20Resources/Practice%20Points/ASNC%20Practice%20Point-99mTechnetiumPyrophosphateImaging2016.pdf. Accessed 2 Apr 2019.